The prosecutor in the Sierra Lamar murder case spent Thursday afternoon in Gilroy, looking at the remains of a body found in the outskirts of town the day before. Santa Clara County Sheriff's Office authorities said the remains were not those of LaMar, who was murdered in 2012 and whose body has yet to be found. Sgt. James Jensen said dental work found on the teeth of the remains had gold caps. 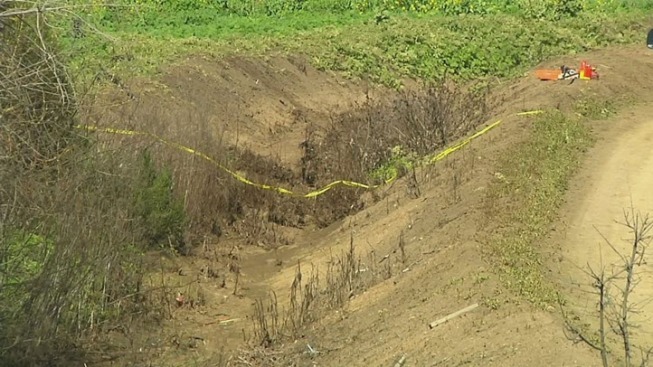 The remains were found in the area of Santa Teresa Boulevard and Castro Valley Road by a PG&E worker. The area is just south of Gilroy, next to the Gavilan College Golf Course and near Highway 101. Doug Hollis with the Sierra LaMar search team visited the scene where the remains were found Wednesday. "It's a little bit of a relief, but we still have hope," Hollis said after he was informed the remains were not LaMar. "We're not going to give up looking for Sierra until we bring her home." The prosecutor in the LaMar case also arrived on scene Thursday and requested to go down to the spot where the remains were found. Deputy District Attorney David Boyd on Thursday did not want to discuss why he was on scene. Hollis said he will continue to lead a team of weekend searchers looking for any trace of LaMar. The search team said it will be out again on Saturday searching for the teen. "I'm a little chocked up because we take every and any lead serious," Hollis said. "And every time we hear something, it just fires the team up again." Meanwhile, Boyd is preparing for the trail of Antolin Garcia Torres, who is accused of killing LaMar. The trial starts in April.